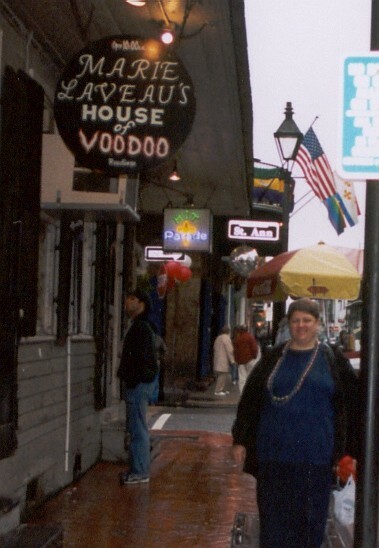 Val and I went to New Orleans February 13-16. I'd gotten the plane tickets and hotel stay as part of a silent auction at the Out and Equal conference last October, so it was all for charity. We had a great time celebrating Valentine's Day and Val's birthday. 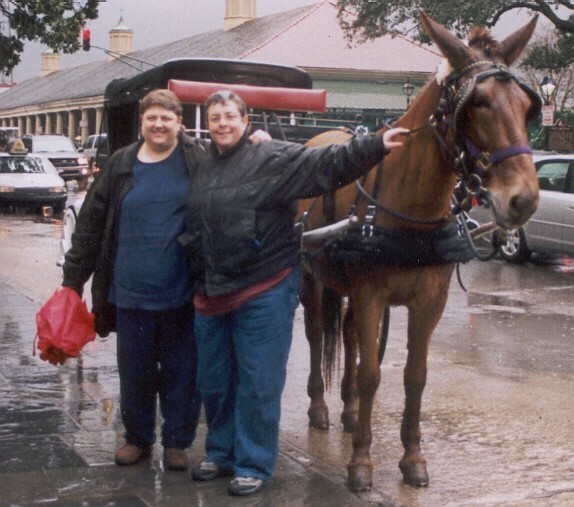 It was pouring rain, but we still got a tour of the French Quarter in a mule-drawn carriage. 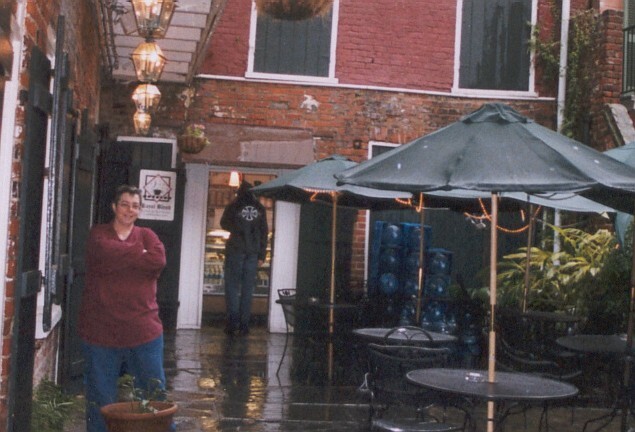 We were covered and relatively dry and warm, but our driver was not! Had lunch at the Royal Blend Cafe. Tasty, eh? 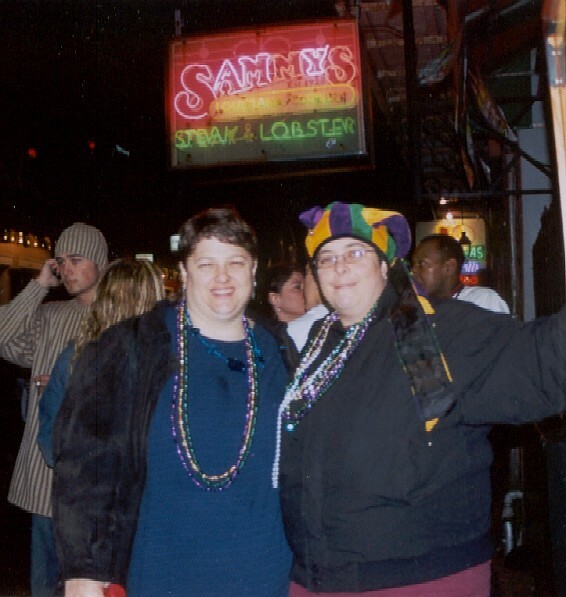 On Bourbon Street after a late dinner at Sammy's. 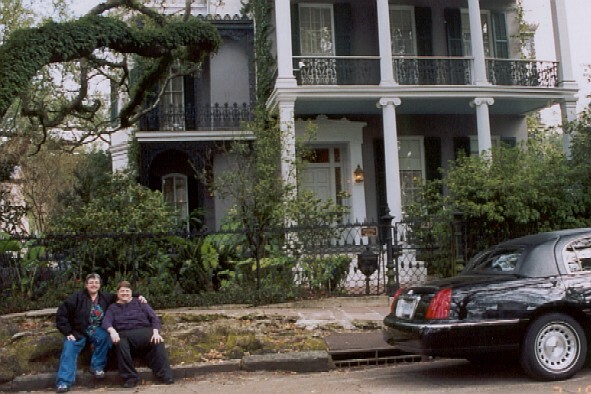 In front of Anne rice's house in the Garden District. We didn't have time for an organized tour, so we paid a taxi driver to drive us around on our way to the airport. 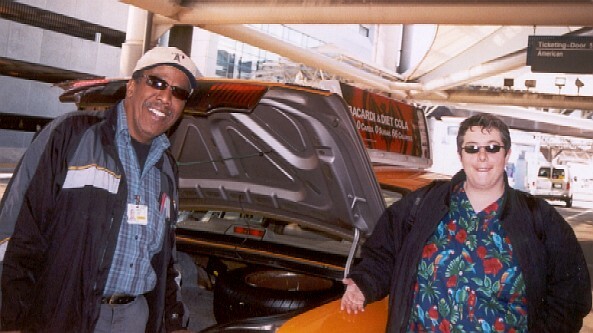 Val with the taxi driver, who drove us around the Garden District on our way to the airport. At St. Louis Cemetery #2, just north of the French Quarter.